Inspiring Jewish Pride and Identity in Jewish children - the future of Judaism.  Chabad Hebrew School of Dayton boasts a creative, joyful, hands-on Jewish education for children ages five through eleven. A professional and caring staff ensures a superior learning experience for your child. The lessons learned here today will stay with them for a lifetime, imbuing their every day with a sense of pride and purpose. » We'd love to talk to you! Please call us to arrange a private meeting or tour; we'd love to hear from you! Contact Rabbi Levi or Rochel Simon at 937-643-0770 x1. SINCE 2008: The Aleph Champion Program© is on the cutting edge of Hebrew reading today. Modeled after the Karate/Martial Arts motivational system, it works by dividing different reading skills into levels defined by color. Our hands-on learning style encourages children to be active, rather than passive, learners. Drama, interactive workbooks, arts, crafts and computers bring the information to life! Call 937-643-0770 to learn more about the incredible program we have to offer!